Once I realized that my nose surgery was not going to deform me forever and that I didn’t care if I had an unseemly blackish-brown scab the size of a shekel on the side of my nose, I buckled down to finish my memoir. In November 2014 I had sent An End to Mourning to an editor who put in comments using Track Changes. She sent it back in December. For the last three months, like an ant carrying one seed at a time from one side of a field to the other, I have been plodding (and plotting) through the text. I have been uncharacteristically ambitious and determined to get the thing done, out of the way, off my desk and my desktop. This morning it happened, I sent the manuscript back to the editor!!! She will now put in my corrections and rewrites and send me back a clean copy, I hope. Recently, I read a quote by someone who said there is a difference between writing a memoir and having written a memoir. I am pleased to be in that second category. I wrote a memoir. Amen. Halleluiah. Pass the brandy. 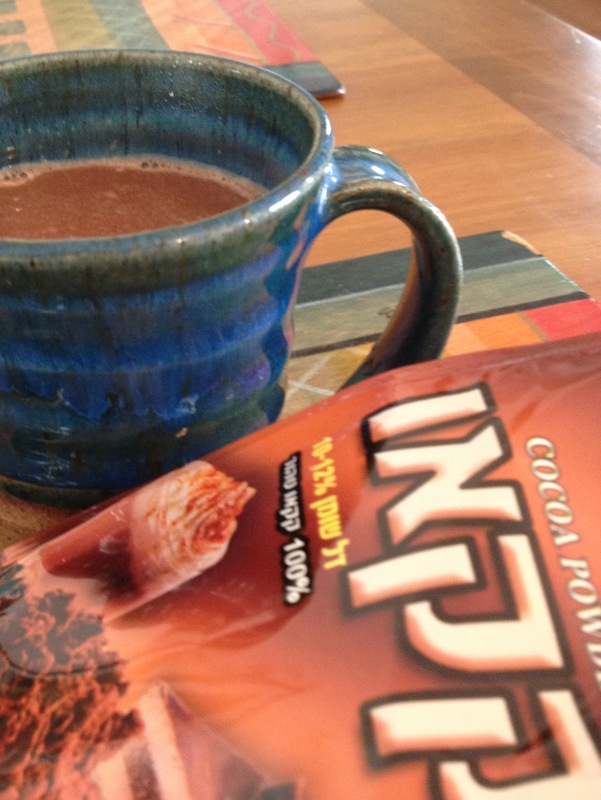 Bring out the cocoa. For me having written a memoir means I have a usable past. I have a story that works. I can connect the dots between Cleveland, Ohio and Jerusalem, Israel. What my unconscious has known all along for the past five decades now makes sense for my conscious mind as well. The dots are on the page. It is out of my body. Having the plastic surgeon scrape that cancerous glob out of my nose provided the perfect metaphor for what I had been doing for more than thirty years. It took the doctor no more than ten minutes to clean out the stubborn, tenacious cancer, which had probably been growing in my beautiful, straight nose since 1959 when I had radiation treatments for acne. (This was not an uncommon method of treatment in 1959.) Or maybe the cancer started in the summer of 1953 when, as a child of eight, I swam in the pool at the country club for hours on end, the sun burning my fair skin red. The cancer in my psyche took more time to locate and extract—thirty-five years, give or take. Now I am free. Even as I sit here in my house with all my heaters on full force, I feel excitement and anticipation towards the coming Spring. I want to do something new and outrageous, after so many years of obsession. Now the obsession has a home in a book and I am free, free, free. Whether or not An End to Mourning finds a publisher, writing it has achieved its goal. It has given me a life, a past, a story. 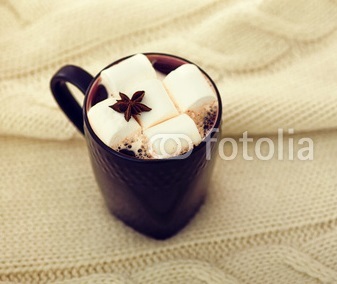 The rest, if it happens, will be the marshmallow in the cocoa. This entry was posted in Uncategorized and tagged An End to Mourning, memoir. Bookmark the permalink. Congratulations! Never mind the cocoa. Open some champagne, celebrate, buy yourself a present. I look forward to reading it one day. I was thinking of 2-3 nights at a spa in the north . . . Thanks, Joan. What a relief. Thank you, Risa. When are you coming to Israel? Want to give a class at The Writing Pad? Congratulations, Judy! If there are still books waiting for me to read when this is published, they’ll just have to move back and leave room for yours. It had better find a publisher. I want to read it. Thanks, Miriam. From your words to God’s ears. ?Here’s to many marshmellows! Judy. Couldn’t have done it without you, Em. I hope it will be published, Judy- and if not that you might share it with friends who crossed your path somewhere along the dots….. I love how you framed the memoir and would really appreciate the opportunity to walk your path along with you. I’ve got a picture of how my life got from there to here but it’s a surface story that I can tell in 10 minutes or 30 if anyone is interested, doesn’t really touch the emotional, spiritual path–something to think about. Dear Jane, I’m sure if you were to start writing about your journey, it would take a lot longer than ten or thirty minutes. Why don’t you find a writing class in Boston . . . I admire your both your motivation and your determination to get this project started and finished, despite obstacles in your path. Looking forward to reading it soon! I look forward to reading your memoir. I agree with Janie Arsham; some can write memoirs; others cannot. I hope to read yours and learn from it. Judy: I am looking forward to its publication, as our paths crossed at Temple EmanuEl so many years ago. My folks were friends of yours as Charter Members, and I was the 2nd Bar Mitzvah at the Temple, although it was held at Bellfaire in 1949, as the Temple hadn’t been built yet. Steve, I look forward to seeing you again at some book launch in FL at some future date, if we’re both still alive. Rabbi Green plays a big role in my memoir. So wonderful that your memory is so strong. All best. Judy: Mazal tov on the completion of your memoir-book. Am sure it will find a publisher, be a best seller. I hereby reserve an autographed copy! If there will be a book, you will get an autographed copy, I promise. This is wonderful news. Now you can go to India (I’ve just been). Mazal tov. Esther, Do I have to?? ?